Every business requires effective communication tools to carry on their business operations smoothly. Although there are numerous tools available in the market, one solution that most enterprises seem to prefer is Skype for Business. And as a business owner, you should consider making the service a part of your operations. A business will make a lot of calls for various purposes, right from marketing to general communication. And the more the number of calls a business makes through regular methods like telephones, the bigger their monthly communication expenses will be. This is especially true if the calls are made to numbers that are located outside the country. But Skype for Business offers a way to make unlimited calls to any location at rates far cheaper than the traditional phone. As a result, a business will easily be able to cut down on communication expenditures quite drastically. For businesses that use Office 365, Skype is a perfect communication solution since it is fully integrated into the software. Once a user has logged into their Skype account, they can quickly set up a meeting through the Outlook Contacts easily. Plus, an employee will be able to know whether their coworkers in the office are online or not. 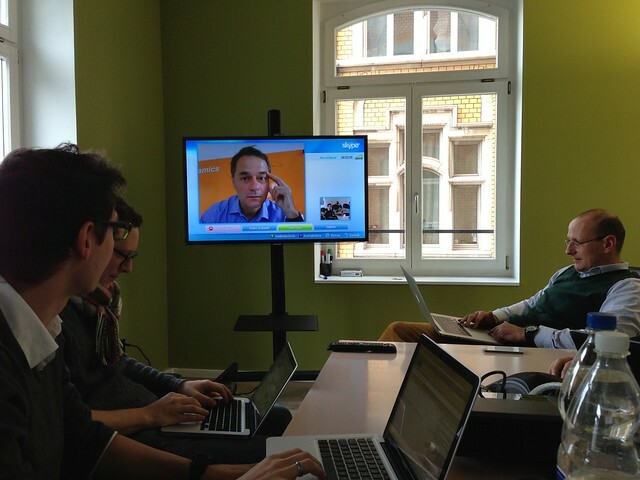 The video conferencing features allow a person to hold a conference call with over 250 people. Participation in such calls can be done through multiple sources like mobile phones, tablets, and so on. As such, it becomes completely unnecessary for all the people to be physically present at a single location to conduct the conference. Instead, they can stay where they are and interact with each other through a Skype conference. Skype for Business is compatible with various software platforms, such as Windows, iOS, Android, Mac, and Linux. As such, a business owner or employee can use it on their Android mobile during travel just as effectively as they use it on their Windows PC while at the office. This cross-platform compatibility enables businesses to be in touch with clients at all times. The nature of business in many companies requires them to be in constant touch with clients. And doing this through a phone can be incredibly tedious, nerve-wracking, and time-consuming. By using the messaging feature of Skype for Business, a company can constantly send quick notifications from time to time. This ensures clients are constantly updated with the latest information without having to call them up every single time. Some communication tools can be very susceptible to hacking. However, Skype for Business is reputed to be very secure against such attempts. All traffic that goes through the service is encrypted to ensure absolute safety of communication. As such, a business can discuss whatever they wish with the other parties in a call without worrying about being spied upon. Plus, the service also has many features that will warn a user about a potential failure.